If you are looking to get into using and buying a craft cutting machine then look no further! 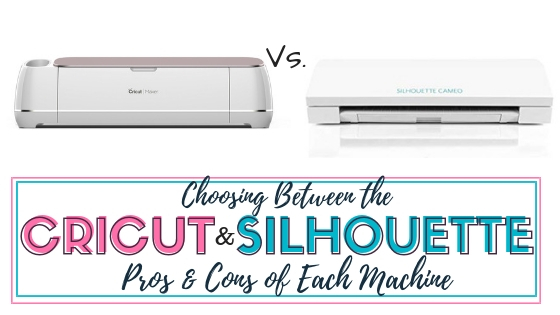 Review the benefits of both the Cricut Maker and the SIlhouette Cameo 3 models to determine which machine is best for your crafting needs. 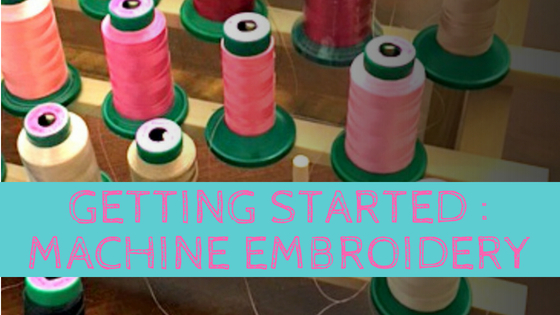 The number one question I am asked by beginner crafters is which machine they should get when they are looking to buy a craft cutting machine. My answer is always the same… it depends. It depends on what kind of crafting you want to get into. Most people have an idea of one or two types of projects they want to start with. And as a crafter who uses both the Cricut Maker and the Silhouette Cameo 3, my honest opinion is that one is not ultimately better than the other. They are both great machines. Both machines cut cardstock, craft paper and vinyl, and heat transfer vinyl very nicely. This post contains some affiliate links for your convenience (which means if you make a purchase after clicking a link I will earn a small commission but it is at no additional cost to you)! Read my full disclosure here. Most people just getting into using a craft cutting machine world start with those basic craft making projects. Paper projects include paper flowers, boxes, cake toppers, home decor, banners, and lettering for signs. Vinyl projects include decals, some stickers, signage, car decals, decals for glass etching, shirt vinyl, tote bags, and monograms. There are some differences when it comes to the machines, for doing certain specific projects. And if you are looking to do anything in addition to those projects listed above then I believe that one brand over the other can do certain things better. That all being said, in my honest opinion there is not one machine that is the end all be all machine. Some might disagree with me on this and favor one brand over the other. And, I feel that their favoring tends to lean towards the brand they started with or learned first. So ultimately, when and if they try another brand out they are confused in the software, or stumble through a project. It is similar to someone using a Mac computer most of their life, then going and using a PC computer. Or using Apple phone for years then switching to a Droid. There is a learning curve no matter how you slice it and until you become versed in either one or both it will just take some getting used to. I have owned both a Cricut and a Silhouette. And I have owned both brands first generation of each of their machines, and I own both brands latest model machines today. 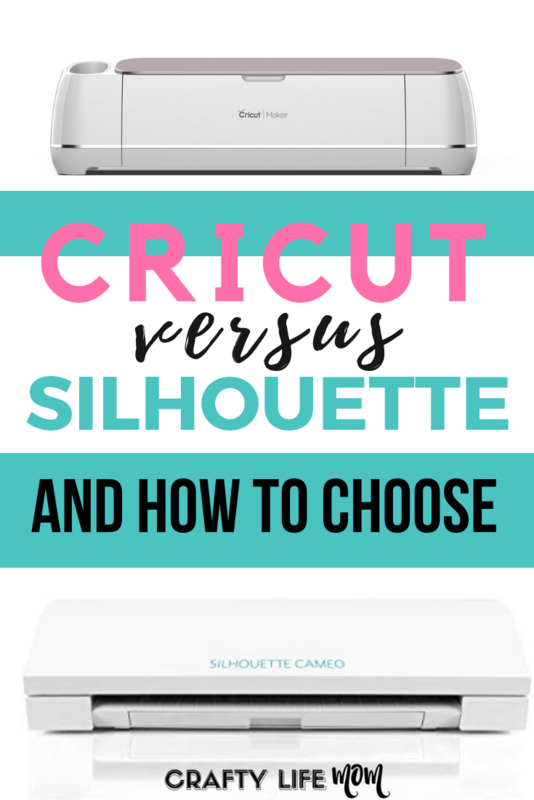 So, I feel like my opinion portrays a very honest review because I have seen where Cricut started and is today as a user of Cricut and I have seen Silhouette start and see where it is today also as a user of the Silhouette brand. In the past 9 years (as of this writing) I have owned 3 Cricut machines and 4 Silhouette brand machines throughout my crafting life. 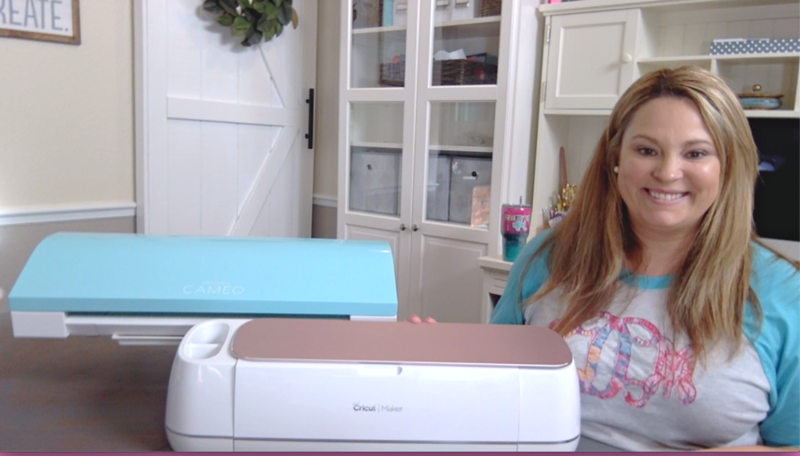 Today I own the Cricut Maker and the Silhouette Cameo 3 – both of which are the latest models on the market today. I love both of these machines, and use them both weekly if not daily. I choose the machine based on the project I am doing. Yes, both will do most kinds of projects. As I mentioned above, but there are just some projects I prefer to make on the Silhouette and likewise certain projects I prefer to make on the Cricut. When you are shopping for your first machine, and people ask me which one they should get. I ask them first if price matters. Usually, it does. I ask this question because if I recommend one brand over the other I recommend that you buy the latest model on the market. So if you are strictly looking at brand new and the latest models one is priced higher over the other. However, if you are into sewing projects more than anything then the price isn’t your first concern. If you want to start a craft business, specifically producing the same product over and over price also isn’t your first concern. Yes, everyone has a budget they want or need to stick to but you also need to know which machine is better equipped to help you go where you want to go. I go over some of the basics of these examples in my video below. Just to go in a little more dept I have posted below a bullet list of features of each brand’s latest model to help your further decide which way you should go. Internet-based if internet connectivity is an issue for you. Can only create or make one project at a time. 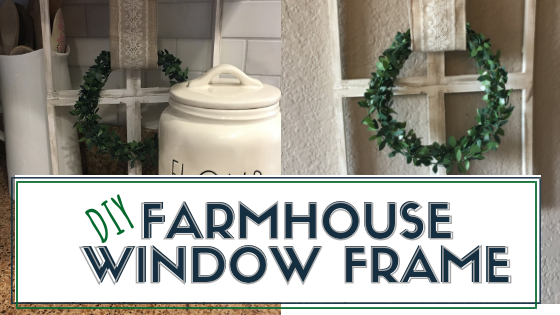 In my opinion, Cricut has some really great things it does as far as a wide variety of projects and materials you can create. 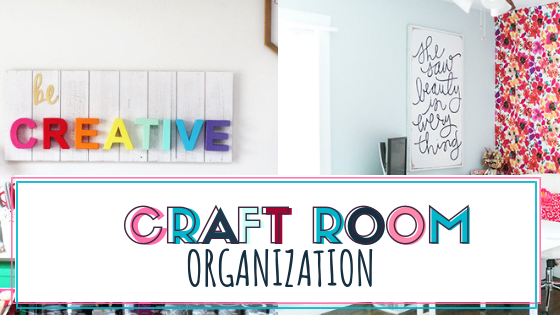 You can do paper crafting, vinyl, fabric projects, and even cut wood. Cricut offers a wide variety of blade options based on the project you are using and different stickiness of mats also based on the project you are creating. At first, they only had the standard grip mat. But as time went on, they release the fabric mat, a strong grip mat, and a light grip mat. To me, the standard grip is fine for most projects, and if I was cutting wood, then yes would use the strong grip mat. I haven’t done a lot with the maker to want or need the light grip or fabric mats but time will tell. I also believe the Cricut is a great machine for the casual crafter. Cricut is great if you create things here and there and like to do or try a variety of projects without creating a lot of your own designs. If you prefer using designs from the internet or from within Cricut Design Space solely then this is a great machine. 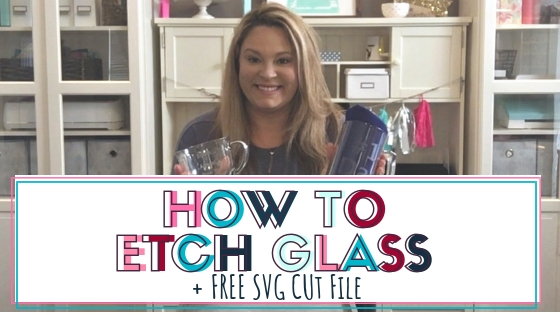 If you like resizing, tweaking or even designing then you will need to use design software you already own and use it in order to create SVG files to load into to Cricut Design Space. This is a great starter machine and since there seem to be more Circut users than SIlhouette this is great because there are more tutorials and videos on the web to reference. Not internet based – you don’t have to have the internet to cut a design. Blade dept and material choice can be manual. 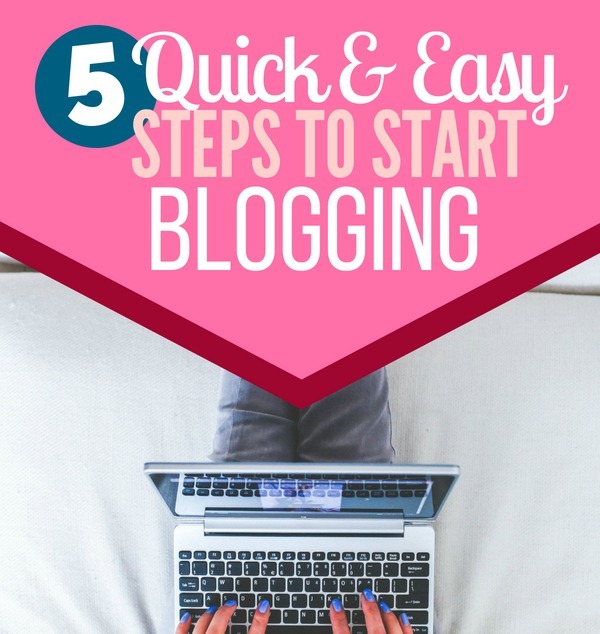 For the business crafter/designer – may struggle at first. In my opinion, the SIlhouette brand is a great machine if you know and absolutely plan to craft and create projects or items to sell, especially shirts and decals. Also if you plan to create and design stickers for planners you may want to look into specifically the Silhouette Portrait machine. It is a smaller machine very similar to the cameo that cuts papers 8.5X11 size only. I owned the first generation Cricut first prior to owning my first Silhouette. However, in the early Cricut days, I did not have the craft business I have today. I only sold and created jewelry. When I got my first Silhouette Cameo I created designs for myself right out the gate from opening the box. At that time Cricut didn’t have that capability and was limited to the cartridges. This was the entire appeal to purchasing a Silhouette. Today, Cricut has the ability to design whatever you want. 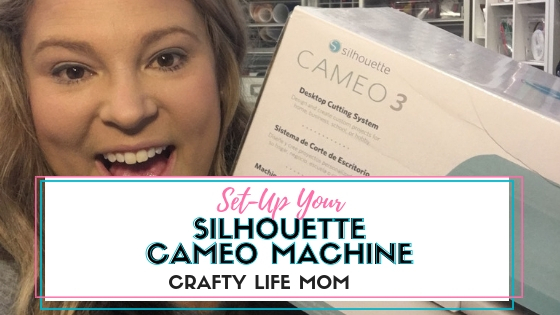 When I made my first few designs in the Silhouette Cameo, the shirt and decal side of my craft business was born. So naturally, I use my Silhouette machines mostly for my craft business orders and designing. While one shirt is cutting I am usually designing right onto the mat the next order or design. This is a productivity thing for me when it comes to filling orders from the craft business. However, that does not mean that you cannot have a craft business if you own a Cricut. You most certainly can. In fact, I have friends who do who use Cricut to run them. 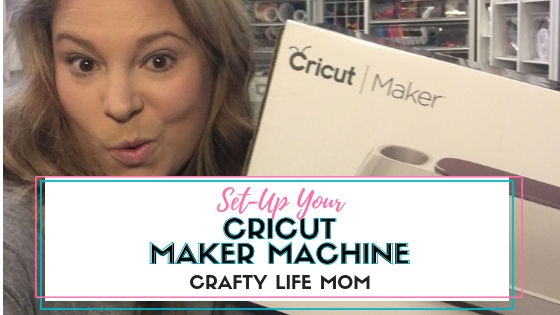 I use my Cricut Maker for craft projects that are just for me or for projects specifically for this blog. The bottom line is that no matter which machine you choose to go with there is a learning curve. Knowing what you can do with the machine and how you learn and use the software to its capabilities will determine how much you enjoy using it. You will not be an expert the moment you take it out of the box. 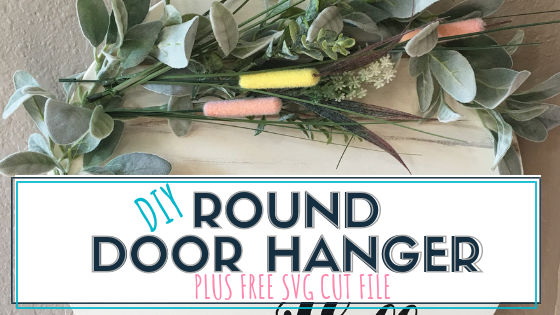 You will have to learn the mats, tools, and ways to create and cut designs. Regardless of what you choose, I am also happy to help you work through or troubleshoot with you. All you have to do is ask. And I offer several designs and resources to use with both Cricut and Silhouette machines.